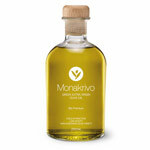 Home > News & Articles > Olive Oil News & Articles > Can you lend 1$ to support Youth Education in the Poor Communities of Brazil? The Social Trees Initiative is a cause-driven business. The goal of the project is to establish a large orchard of olive trees and develop the production of olive oil in southern Brazil as a social business. After covering all company costs, the Initiative will allocate 100% of the profits to support social projects for a period of at least 70 years (average production time of an orchard). 4. will work for at least seven decades to support the education of children and youth in poor communities. The production of olive oil in southern Brazil has been gaining ground throughout the country. Although today production in the Brazilian federal state of Rio Grande do Sul (on the border with Uruguay) results in less than 5% of the demand for olive oil in Brazil, the planted area and production of olives increased more than 20 times in the region during the past 10 years. With a climate favorable for the cultivation of olive trees, which need low temperatures in winter and well-defined seasons, Rio Grande do Sul has the largest cultivated area in Brazil. While Brazil isn’t widely known as an olive oil producer, a new initiative might just change that — not through the scale of its olive oil production, however, but as a result of an innovative cause-driven effort called Social Trees. The goal of the initiative is to support youth education in the poor communities of Brazil’s southern Rio Grande do Sul region. To achieve this, Social Trees will try to raise funds to plant between 7,000 and 35,000 olive trees (likely Arbequina, Arbosana, Koroneiki and/or Picual varietals, all which have been successfully grown and cultivated in the region), from which extra virgin olive oil will be produced and sold. 100 percent of the profits will then go toward local social projects, and, in theory, do so over the course of at least 70 years (considered an orchard’s average production time). The effort is led by Leonardo Dutra, who specializes in agribusiness and has experience in the management and marketing development of Brazil’s agro-industries. He is supported by a diverse group, which includes olive oil producers from Brazil, Italy and Portugal, and the project is seeking donations through the crowdfunding site, Indiegogo. Instead of carrying out philanthropic acts, donate $1 and we will produce food and wealth to help poor communities for nearly a century. After all this, we will still return your donation.